This banded agate has an Iris coloured heart, and the swirling characteristics of that iconic summer flower. In silk it looks absolutely wonderful, but these flat website images do it no justice at all, we're afraid. 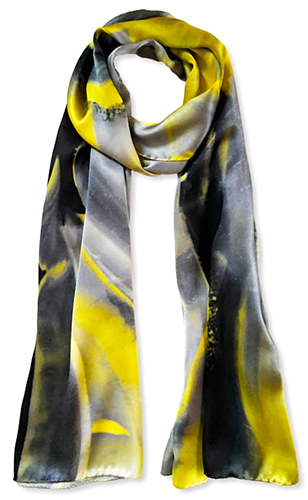 A scarf like this, though, is found only in luxury stores like Fortnum & Mason - and here.